I started this antibreakage challenge March 23 and I used a clarifying shampoo(my trusty ORS Creamy Aloe Shampoo),then followed up with my sulfate free shampoo even though I was supposed to use a moisturizing shampoo. I realized at the last minute that I didnt have one,so I substituted. 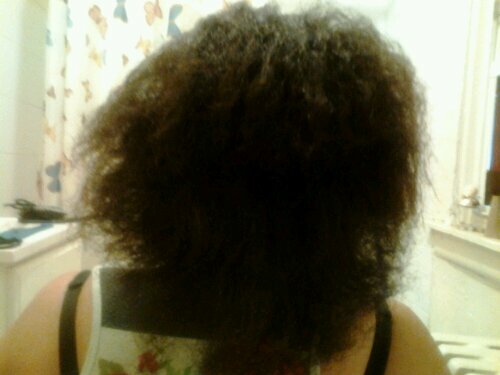 I.skipped the hot oil treatment because I wasn’t feeling all that well to do it.But I did L.O.C. with olive oil and ORS Incredibly Rich Hair Lotion. As you know, this challenge is really protein intense because I’m attempting to strengthen the structure of my hair. I.believe lack of protein i why I have such a,breakage problem. Hopefully,after this month, breakage will be a thing of the past.What I like about this challenge is that it suggests styling your hair after washing it and all that. I’m most comfortable with a bun as I go about my regular day-to-day activities, but I found this gorgeous high bun mohawk on youtube by 4722Dominique. I was going to do it for Easter but since our plans for Easter changed, I’ll do it just for the hell of it. 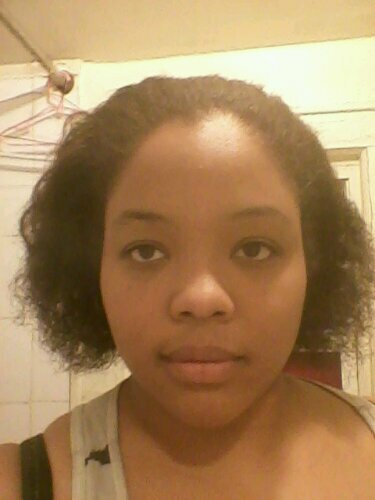 I’ve been reading a new blog for natural hair,nenonatural.com. It talks more about the science of hair,which is important for me,a person who does thorough ressearch. 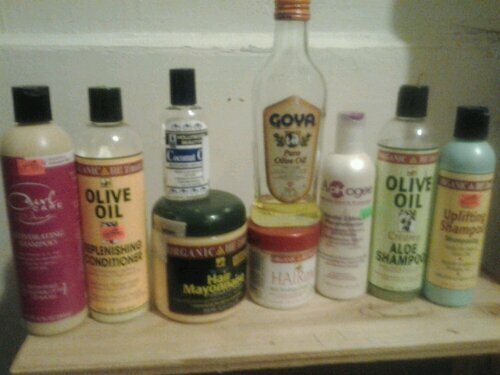 In order for me to effectively help others with their hair care,I have to know what I’m talking about! The last two weeks of the protective style challenge were a bust. My brother came into town for his birthday with his three children and I spent all my free time with them while they were here. I washed and coditioned but neglected my L.O.C. and did not protect my ends. I must admit that I got sick of keeping up with the routine and I started getting lazy. I.still enjoyed taking a nice hot shower and taking the time to “make love” to my hair but protecting my ends became a chore and like a bratty kid I didn’t want to do it. However, these last two months did teach me alot. It did get thicker and a little bit longer and my “rough patch” is not as rough as it used to be.It’s softer and I’ve even gotten the courage to.”dust” it myself. No big chop for me! 23 years ago today, a little boy was born. He was born my cousin but after being placed in foster care together when he was just a newborn,he was my brother. We did everything together and we suffered the death of the only mother we ever knew together. He was so different after that. He was fragile,quiet,and kept to himself. I didn’t know if he’d ever go back to being the energetic fun loving little boy I loved so much. In my mind, it was us against the world. But then, my aunt took us in. At first, he was guarded but once she showed him that all she wanted was for him to be okay he was her little boy,her son.He came out of his shell. He ran back and forth through our long apartment hallway and let his imagination take him wherever he let it. When my mom took us out anywhere,he’d grab tight to her hand and never let it go. He felt safe with her. When we were in junior high school, I sometimes dismissed him in front of my friends because he was”my annoying little brother”. But he still hung around me and I guess he thought I was cool. We shared bunk beds and at night we would talk about random things until we fell asleep. I miss those times. After I had Amani, he left for the army and I was proud of him but it was hard not having my sidekick around. He called as much as he could but it wasn’t the same. He came home from basic training a few days before Amani’s first birthday and he got her to walk on her own. He was a different man, one that I was proud to call MY brother. When he left the army,he settled down and started a family. He holds down two jobs,college,and three children. I know it’s hard sometimes but he handles fatherhood and manhood with a grace that I thought you only get when your like fifty something. My brother didn’t have a father but our mother raised him to be strong. I have four other brothers but the bond between he and I is special. We are two halves that when put together,complete each other. I could never imagine a life without him and I thank God everyday for my brother who is my best friend even when he annoys me or does something done. No other siblings in the world have a relationship like ours. Happy Birthday, L!! !